Having the Kardashians grace the living room TV screen wasn’t good enough for one Melbourne family. Aaron Wong, the principal designer at interior design and decorating firm Alexander Pollock Interiors, was approached by an Eaglemont couple in Victoria to decorate their entire living room in a style sympathetic to Kris Jenner’s iconic LA home. Bought in 2017, Jenner’s sprawling mansion features sleek natural wood and marble finishes, a tastefully muted colour palette, open plan living, and a floating staircase. The brief for the Melbourne living room was to create something “lush, smart and trending” heavily influenced by Kris Jenner’s abode, reports nine.com.au. Wong recalled the client saying, “Get rid of everything except for my portrait above the fireplace,” which he was happy to oblige. Inspired by the chequered tiling and metal accents dotted throughout Jenner’s mansion, Wong fulfilled the brief with a carefully considered version of the home, according to Vogue. 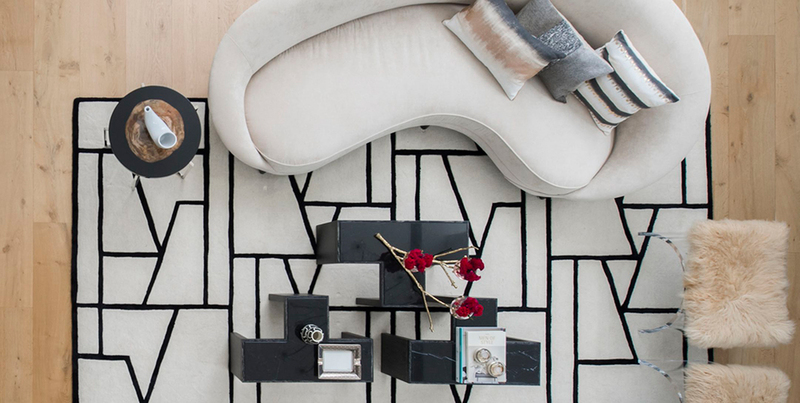 He and the team at Alexander Pollock Interiors started by crafting the perfect colour palette of black and white inspired by “a man’s tuxedo”, featuring accents of red and warm metals. The ‘Best of Houzz 2018 in Design’-winning firm also used textures such as mohair, velvet, Perspex, brass, and marble to add the finishing touches to the California-chic room. When it came to the furniture, Wong imported pieces from Europe and the US. “There is a general symmetry with the large pieces of furniture, but the accessorising was deliberately more haphazard to create an organic feel,” he told the Daily Mail. “The incredibly high ceilings did not allow me to use a specific sheer curtain that I wanted to use, so I had to settle for a sheer drape within the limited options available,” he added. Whether or not you’re a fan of the Kardashian clan, it’s hard to deny that this is one very cool living room.